Cyclone Chapala to bring record-breaking rain to Yemen and Oman. 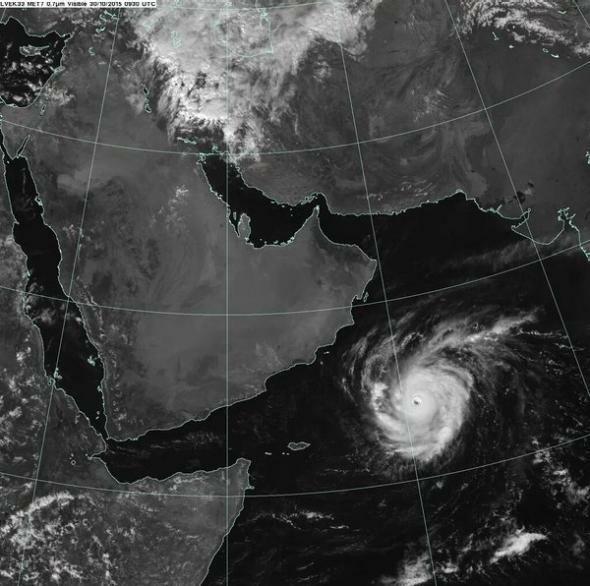 Oman and Yemen are on alert this week as Cyclone Chapala approaches. 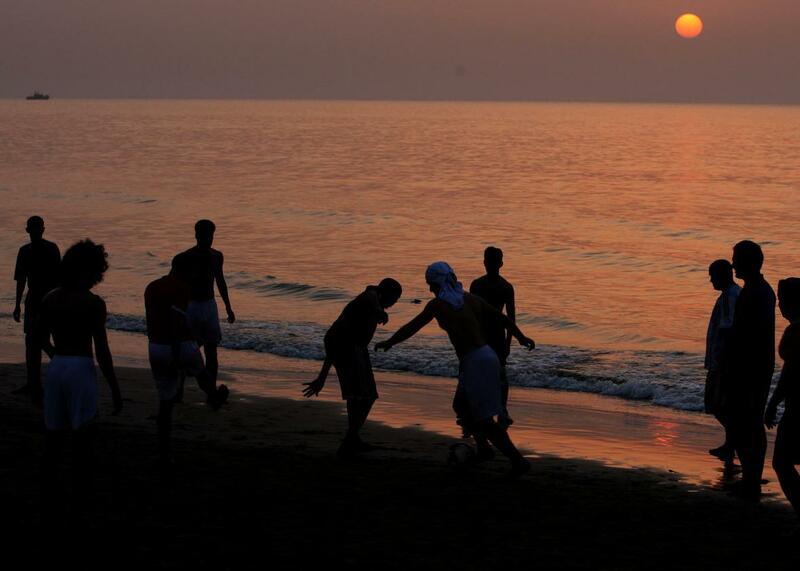 Here, a Muscat beach scene in 2010. Update: Saturday, Oct 31: Over the past 36 hours, Cyclone Chapala has rapidly intensified and is now the equivalent of a category four hurricane. The storm appears especially formidable in satellite photos, and now almost assuredly will become the first hurricane-strength storm to strike Yemen in recorded history. The latest computer models and official forecasts have become more confident of a landfall in Yemen near the key port city of Al Mukalla—with population of about 300,000 and an Al Qaeda stronghold in the current civil war—on Monday. Though drier air from the Arabian Peninsula will cause Chapala’s winds will weaken as it nears landfall, catastropic flooding—prompted by several years’ worth of rain in just a day or two—still seems likely for parts of Yemen and Oman. Cyclone Chapala, near peak strength, over the Arabian Sea on Friday. The cyclone will likely become the first hurricane-strength storm to make landfall in Yemen’s history. An epic deluge is on the way to one of the driest parts of the world. Coastal parts of Yemen and Oman receive, on average, only 4 or 5 inches each year. This weekend, thanks to Cyclone Chapala, some spots could get eight years worth of rain in just two days. Forecasted rainfall totals (in inches) from Cyclone Chapala are literally off the charts. More than 32 inches of rain could fall in parts of Yemen—eight times the annual average. Satellite images show Cyclone Chapala, which formed on Wednesday, has already begun to rapidly strengthen. Latest high resolution weather models show it could top out at category 4 strength on Sunday, in line with current official forecasts, and should then weaken slightly as it approaches the coast of the Arabian Peninsula near the border of Yemen and Oman on Monday. Salalah, Oman—the country’s second largest city with about 200,000 people—could bear the brunt of the storm, including storm surge of 15 feet or more. 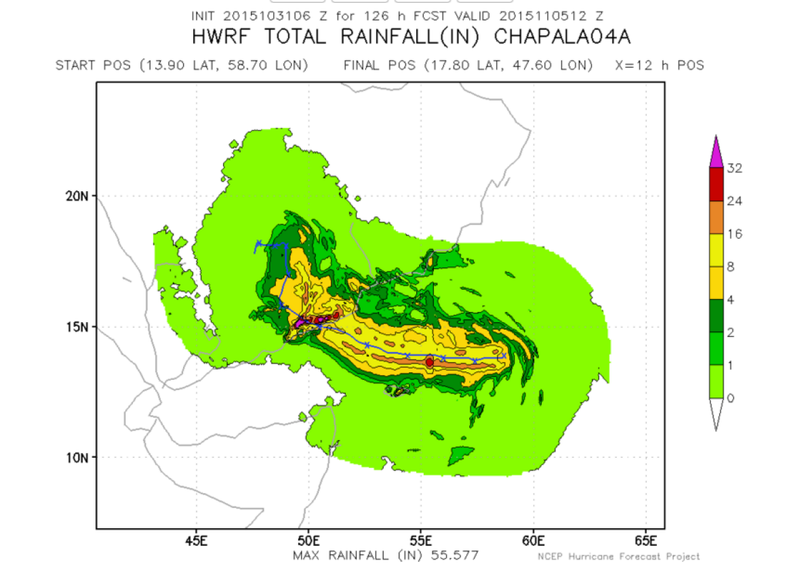 The tremendous amount of rainfall, though, is Chapala’s biggest threat. Tropical cyclones are an extreme rarity near the Arabian Peninsula. Since reliable records begin in 1979, there have been only two hurricane-strength storms to make landfall in Oman, and the only storm to hit Yemen topped out with winds at a paltry 35 mph, barely tropical storm strength. All three of these storms have happened since 2007. The latest forecast track for Cyclone Chapala brings the storm toward the coast of Yemen. Cyclone Chapala could become the first hurricane-strength storm in recorded history to make landfall in Yemen, and may surpass 2007’s Cyclone Gonu that hit near Muscat, Oman—the strongest storm ever recorded to hit the Arabian Peninsula at category 3 strength. Chapala’s rapid strengthening comes in part due to record-warm ocean temperatures over virtually all of the Arabian Sea. In addition to spawning Chapala, the broader Indian Ocean is currently in sync with the near-record strength El Niño in the Pacific, helping to boost temperatures and shift weather patterns worldwide. A recent study predicted that, thanks to climate change, some regions of the world like the Arabian Sea/Persian Gulf could experience unprecedented threats from tropical cyclones as ocean temperatures warm.